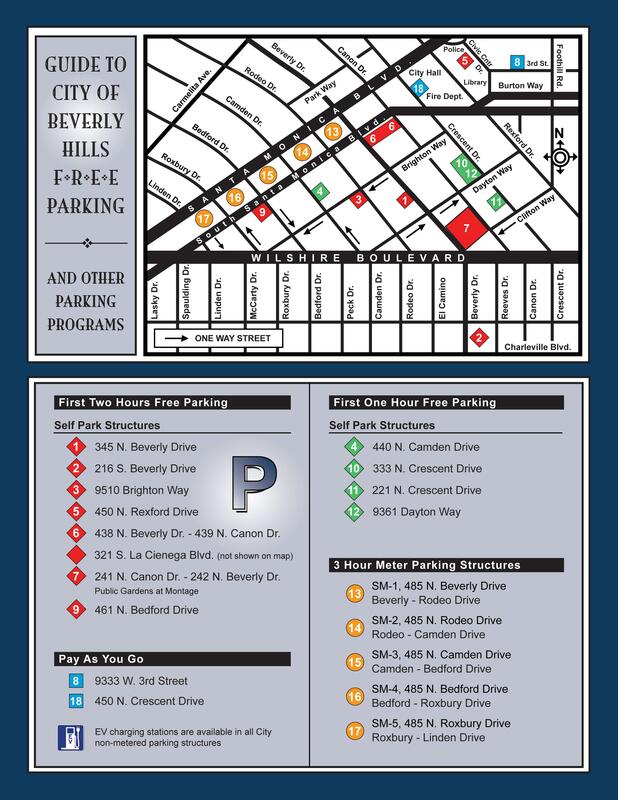 The City of Beverly Hills has many convenient parking structures located throughout the City. Please consult the parking structure guide map below for locations and general information. The red diamonds indicate two hours of free parking. Drive an Electric Vehicle (EV)? The updated policy encourages more efficient use of City’s 35 EV charging stations. There are currently 59 level 2 connections available in the 14 City parking facilities and Roxbury Park. Find a charging station and availability at www.ChargePoint.com. National Drive Electric Week is September 8-16, 2018! National Drive Electric Week is a nationwide celebration to heighten awareness of today's widespread availability of all-electric and plug-in hybrid-electric vehicles. Click here to visit the official website for more information.